Local duo Quadratic reinvent live electronic music. Iceland’s biggest export (ash clouds notwithstanding), Björk has always been one to disrupt musical conventions. Recently, an interactive, computerized surface called Reactable has popped up in her live shows. The table interface uses tiles called tangibles, whose movements correspond to tempo and sound. Colin Harris, a computer programmer for Groupon by day, has invented a similar device of his own. 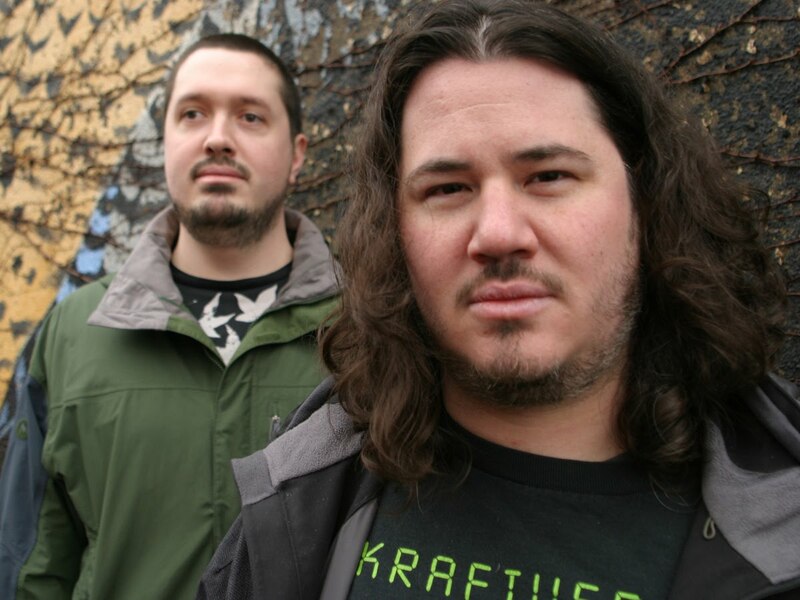 In the early aughties, Harris and Chris Widman, two Kansas City, Missouri, natives, moved to Chicago and started making blistering techno and dubstep together as Quadratic. Thanks to Harris’s machine, the duo’s live shows are unlike any other in the city. We meet Harris and Widman—and their contraption—amid plants, records, CDs, studio equipment and two lurking felines. They share a cozy two-story Ravenswood home with Harris’s wife, Kim Schlechter (also the duo’s publicist). Watching the device—a small, tripod-mounted camera attached to a mini computer that tracks the tiles’ movements—it’s hard to believe it can be an instrument. Of course, electronic music has never adhered to a bass-drums-guitar framework. Widman, 33, a DJ since his days at the University of Missouri, has hosted a radio show called Abstract Science since 1997, which he brought to Loyola’s WLUW when he moved here in 2000; it broadcasts Thursdays at 10pm on 88.7 FM. While still in Kansas City, Harris, now 31, became a regular listener and started attending Widman’s DJ gigs, eventually sharing some of his early productions.